Aitor Karanka says that had luck been on Middlesbrough’s side in the past month, they would be three points clear at the top of the Championship. But the reality is second-placed Boro will face relegation-threatened Charlton Athletic in London on Sunday (kick off 3.30pm) at least four points shy of leaders Burnley. The Lancashire club are in action 24 hours earlier a short journey across the Pennines at Huddersfield. 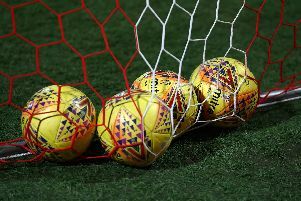 Boro’s form of late has been hampered by inconsistency, the 1-0 reverse at Charlton’s relegation rivals Rotherham on Tuesday night proof of that. Failing to build a winning run is risking Boro’s promotion chances. They do have a game in hand on Burnley - but have played one more than Hull City who are fourth. Big-money signing Jordan Rhodes has scored at a degree of regularity as hoped, while his fellow strikers are also struggling to locate the goal with each shot they’re presented with. Karanka is frustrated by the lack of recent goals having seen his side score just 14 times in the 13 games they’ve played in 2016. But he preferred to focus on Lady Luck. “It’s true that I think that football is not fair with us,” he told www.mfc.co.uk. “We deserved to score four goals in the first half (on Tuesday night) and more than one against Leeds (0-0 draw) and also more than once against MK Dons one month ago (1-1). Boro’s away form, with just two wins in their last seven fixtures outside Teesside, is an equally-pressing issue. But the Spaniard believes that scoring first can set his team onto winning ways. He added: “We know how difficult a team we are when we score first. It’s hard to beat us then. “So for that reason we have to learn. “It’s frustrating but we have amazing players and we aren’t scoring goals. Is Karanaka feeling the pressure yet? “I love pressure, especially when fighting for promotion,” he insisted. “Pressure is for Charlton and Rotherham.